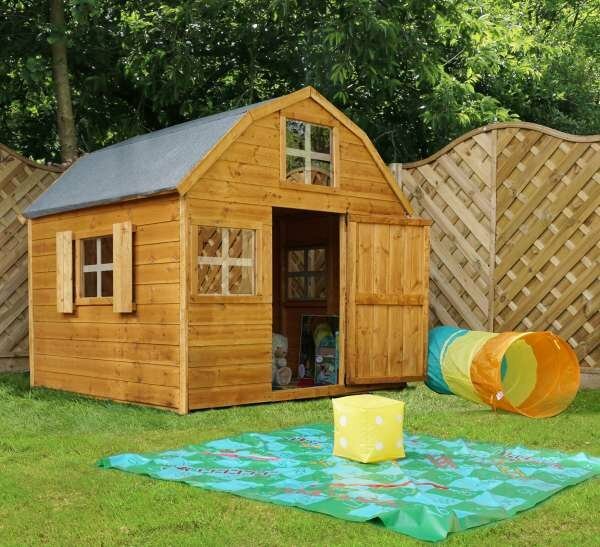 This playhouse will inspire your child’s imagination every time it’s used. 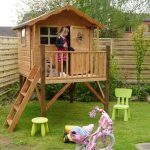 Whether a little girl is playing house or a little boy is getting up to mischief, you can be sure fun will always be had. 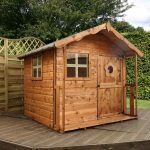 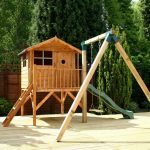 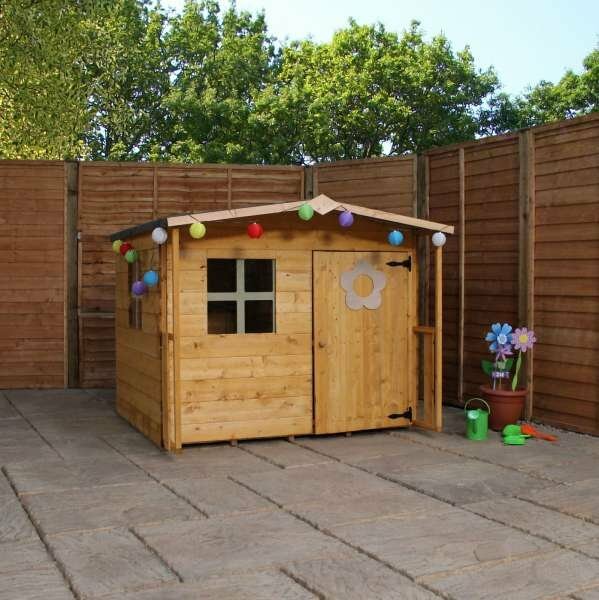 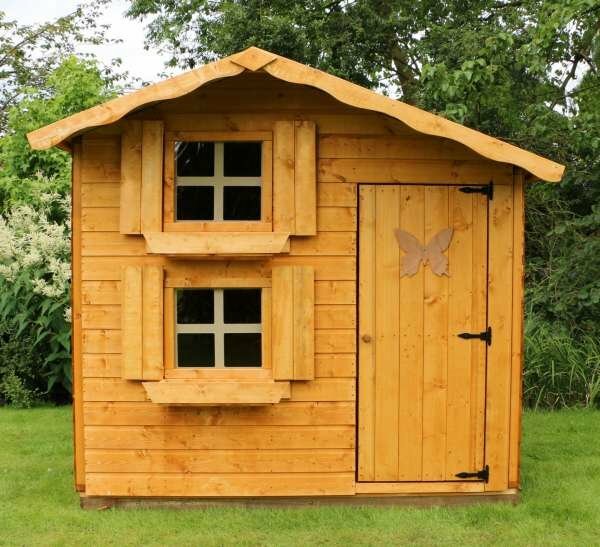 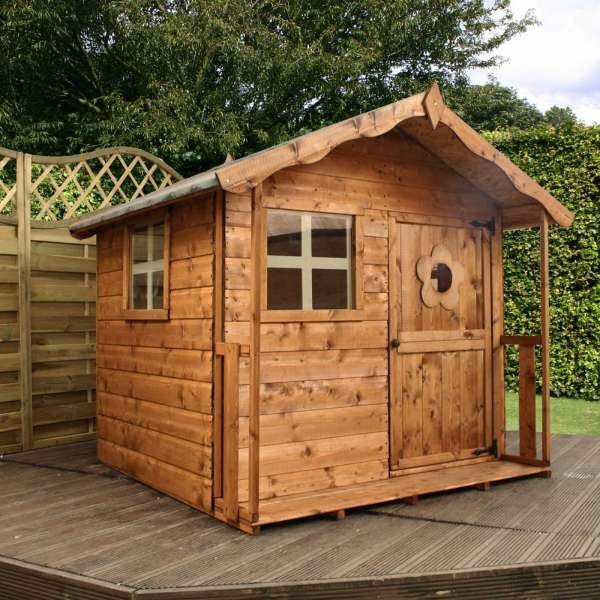 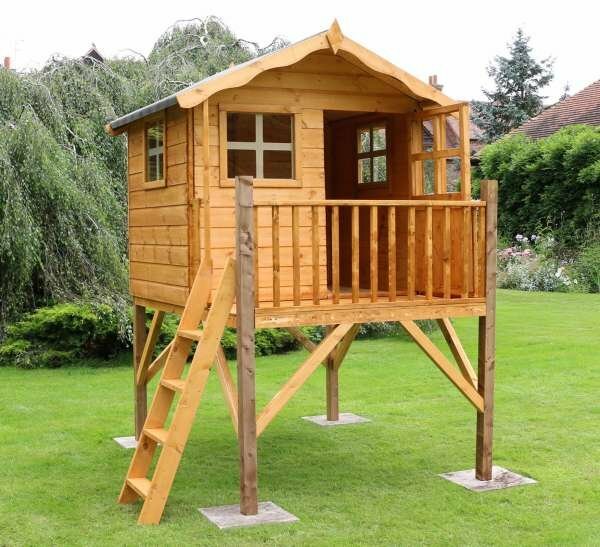 You have a choice of keeping this playhouse on the ground floor or adding it to a tower to increase your child’s potential for activity in the garden. 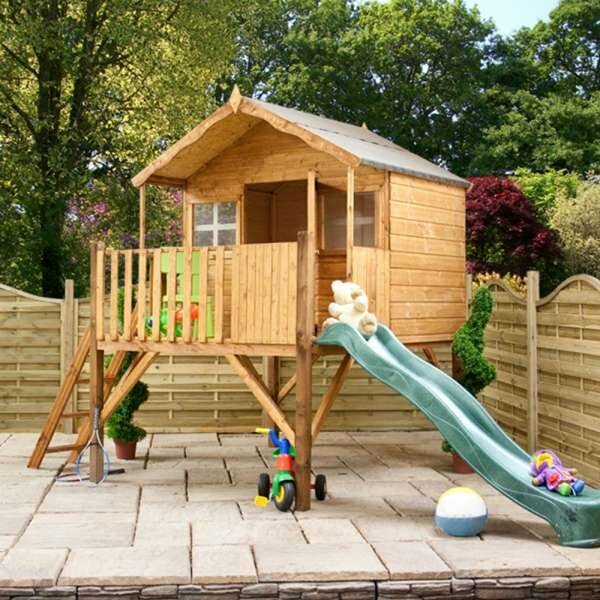 Whichever you choose, the quality design and materials used ensure this playhouse will always stand the test of time. 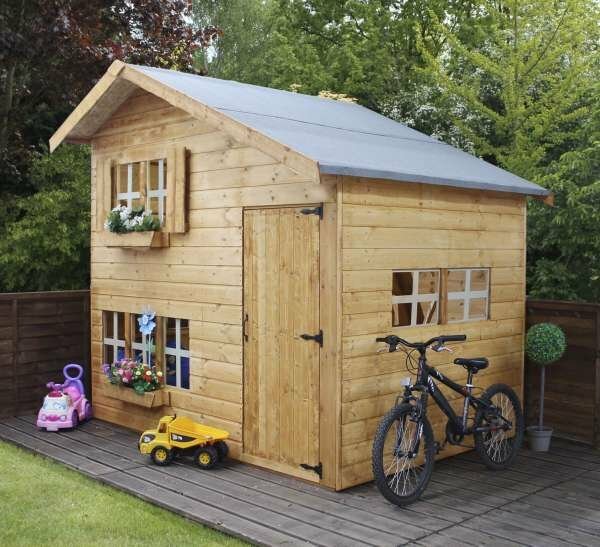 The crossed windows are made from shatterproof styrene glazing and the door is child friendly with finger gaps in place. 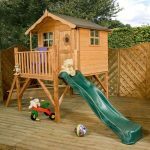 Choose from: Playhouse, Playhouse With Installation, Playhouse with Tower, Playhouse with Tower With Installation, Tulip Playhouse with Tower & Slide, Tulip Playhouse with Tower & Slide With Installation, Playhouse with Tower & Activity Set, Tulip Playhouse with Tower & Activity Set With Installation. 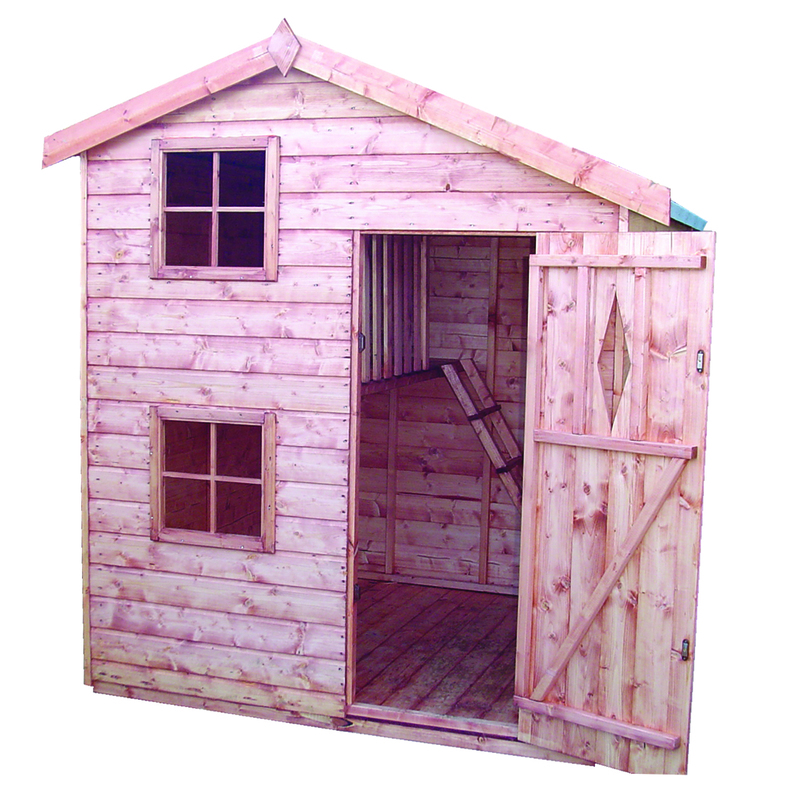 Our Tulip Playhouse is the perfect miniture house every child will love. 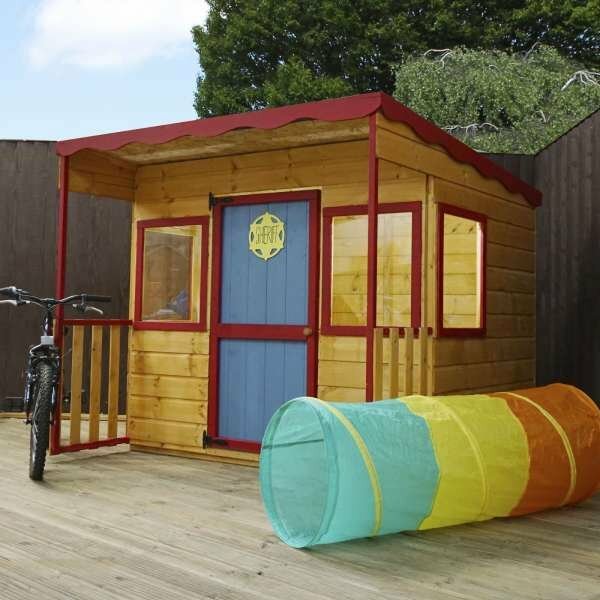 The crossed windows, antque style hinges and pretty flower decoration give this playhouse oodles of character!